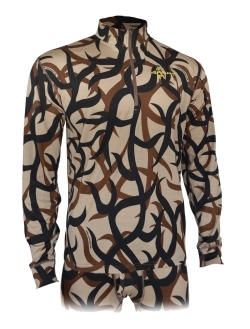 We are giving away an ASAT Merino Wool Quarter Zip in this North American big game hunting photo contest! The winning photo will show the realism of the hunt, not simply a trophy photo. Having harvested game in the photo can be submitted, but is NOT required. What we are looking for are pictures that portray the realism of hunting big game in North America. Even if you didn't kill an animal, you might have a winning photo of "the hunt". *What you like most about hunting big game in North America. *What is hardest about the hunt. *The agony or the pleasure of the hunt. *Portayal of a "successful" hunt through your eyes. *Frustration or elation of the hunt. 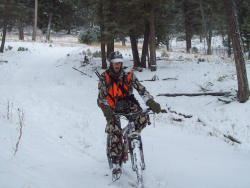 *The demanding sport of hunting big game. These are just some ideas to get you started thinking. Show us the best photo of your North Amerian big game hunt that represents what makes you want to hunt! Photos must be received by July 31. No more than three photos per hunter will be accepted. Submissions with more than three photos will exclude all of them from being entered into the contest. Only one will be selected for judging, if you send up to three. We will pick the one. So, it would be best to make it your one "best shot"! Photos must be yours, taken by your hunting party on your personal North American big game hunt. You must own the rights to the photo submitted. Please email your photos to daveATelkhuntingtips.Net. (Remove "AT" and replace with @.) If you prefer, you can text your photo to 1-406-431-0876. Include your name, the state where you live and the state where the hunt took place. 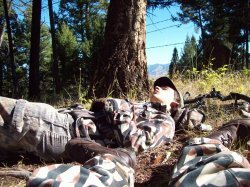 By submitting a photo for the contest, you are agreeing to let us use it on ElkHuntingTips.Net and our Facebook page. We might use your photo, even if you don't win! Photos must be received by July 31, 2018. Start practicing so you are fluent in the elk language. We carry all of the Rocky Mountain Game Calls. 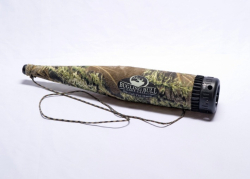 The Bully Bull Bugle has been discontinued and we have only a few left. They were replaced by the Bully Bull Extreme, which we also have. The Bully Bull price is marked down. Free shipping for at least a $50 order. 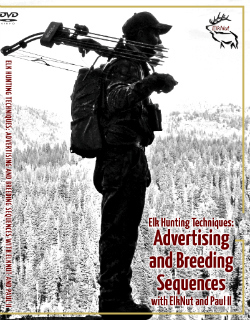 We also have all of Elk Nut Outdoor Production resources with free shipping. It's time to start rehearsing the elk language! So, you don't say something "stupid" and have to watch an elk moving away shaking its head! Leaarn what they're saying and what to say or do in repsonse.